Vincent Rea, the Black & Veatch alternate to the WDBC Board of Directors is the Director of Design-Build for the North America East Region for Black & Veatch and a certified DBIA design-build professional. He is a seasoned, solution-focused construction industry leader with over 30 progressive years of design-build, construction management, and at-risk construction experience for large water/wastewater treatment plants, tunnel projects, pump stations, and other heavy civil projects up to $1 billion in size. During his career he has performed as Regional Director, Project Director, Design-Build Group Manager, Sr. Project Manager, Sr. Construction Manager, Construction Operations Manager, Pre-construction Manager, and Estimating Department Manager. 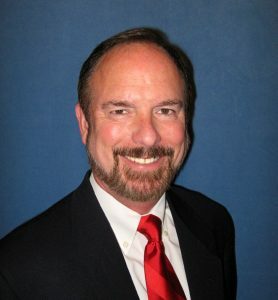 He has overseen several large Black & Veatch program management contracts while working throughout the Eastern U.S. and Puerto Rico and is a highly effective team leader with a proven track record in at-risk self-performance construction, design-build, CMAR, cost estimating, procurement, scheduling, and project controls. During the first 15 years of his career, he effectively bid and executed numerous projects for large self-performing general contractors before joining Black & Veatch 20 years ago to focus on the emerging water design-build market. For more than 10 years, he managed the company’s East Coast design-build operation, which focused on the successful delivery of at-risk collaborative delivery projects. In addition, he recently held project leadership roles on several projects with the New York City Department of Environmental Protection, including Water Tunnel No. 3 (Manhattan) and the 26th Ward Water Pollution Control Plant (Brooklyn), as well as project leadership roles on the South Hartford Combined Sewer Tunnel for the Metropolitan District of Connecticut and on the OARS Tunnel in Columbus, Ohio.